"Three, two, one, liftoff!" said a NASA commentator as the unmanned spacecraft blasted off on a dark, foggy morning atop an Atlas V rocket at 4:05 am Pacific time (1105 GMT) from Vandenberg Air Force Base in California, marking NASA's first interplanetary launch from the US west coast. "This is a big day. 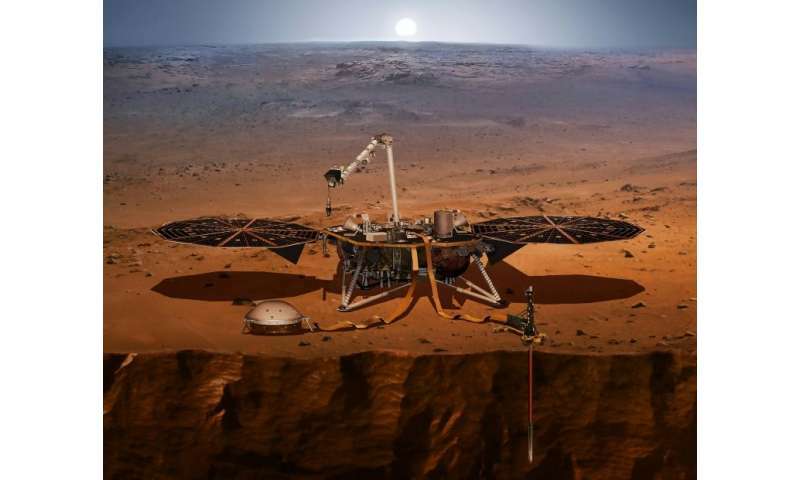 We are going back to Mars," said NASA administrator Jim Bridenstine after the launch. "It is important for our country. It is also important for the world and it really establishes American leadership in a lot of ways." About an hour and 40 minutes into the flight, the spaceship separated from the upper stage of the rocket, as planned. "I'm on my own now," said the US space agency Twitter account, @NASAInSight. "This marks the beginning of my six-month journey to #Mars." If all goes well during the 301 million mile (485 million kilometer) trip, the lander should settle on the Red Planet on November 26. "For us, InSight is perhaps not the ultimate but a very, very important mission because we are going to the hear the heartbeat of Mars with the seismometer we put on board," said Jean-Yves Le Gall, president of France's Centre National d'Etudes Spatiales (CNES), in an interview on NASA television after liftoff. The second main instrument is a self-hammering probe that will monitor heat in the planet's subsurface. The temperature at the landing site for InSight is frigid, and expected to range between -148 F and -4 F (-100 Celsius to -20 Celsius). A pair of mini-spacecraft also deployed successfully from the rocket. The spacecraft was initially supposed to launch in 2016 but was delayed after temperature tests showed a problem with part of the seismometer, which engineers have since fixed.